Expect this new tower too be set against peaceful streets and crescents-- with beautifully landscaped grounds and green open space you’re sure to enjoy.The building itself will see over 21,000 square feet of amenity space located on the ground floor. This expansive space will be divided into 9,200 square feet of indoor amenity space and 12,000 square feet of outdoor space. An exciting roster of amenities will be included at U.C Tower, including 24.7 concierge service, a fully equipped fitness facility with a cardio room, weight room, running track, and yoga/stretch studio. Private dining with an adjoining Catering Kitchen is the perfect place to host company. For business professionals and students, the Business Lounge and Study Lounge offer peace and quiet for brainstorming sessions. For a little fun, visit the building’s Games Lounge and Theatre Room. Outside, a large outdoor terrace with lounge areas, dining areas and BBQ’s offer a spacious outdoor getaway. Lastly, Guest Suites are a convenient amenity for your overnight guests to stay closeby. 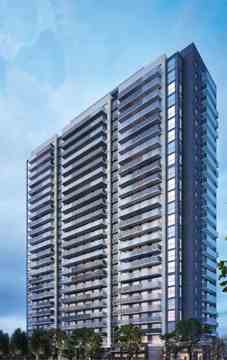 U.C Tower is ideally located to take advantage of the best of Oshawa- those who plan to live in their new suite or plan to rent it out will appreciate having the best in local amenities. The college-bound will love living in close proximity to the University of Ontario Institute and Technology, in addition to Durham College. 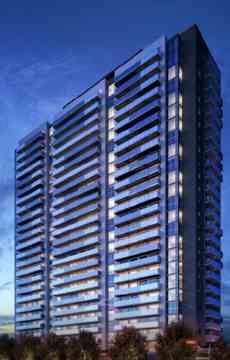 Just down the street from this pre-construction condominium will be a brand new regional shopping centre by RioCan. If you are familiar with RioCan-built malls, you know that some of the biggest and best retailers will be housed under one roof-- Windfields Farm Shopping Centre is to open in 2022. Not to mention, golf courses, arenas, recreation centres and much more are all nearby.